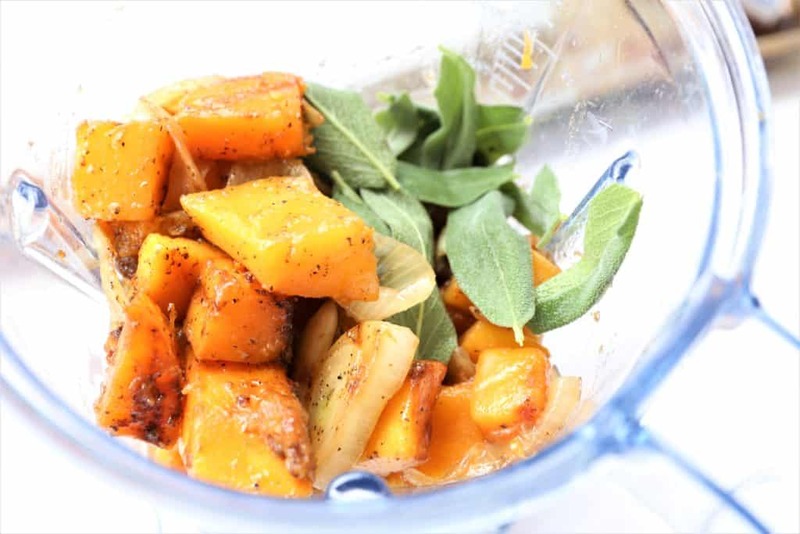 Grilled Butternut Sage Pasta is a delish flavor combo. Vegan, gf, dairy free. 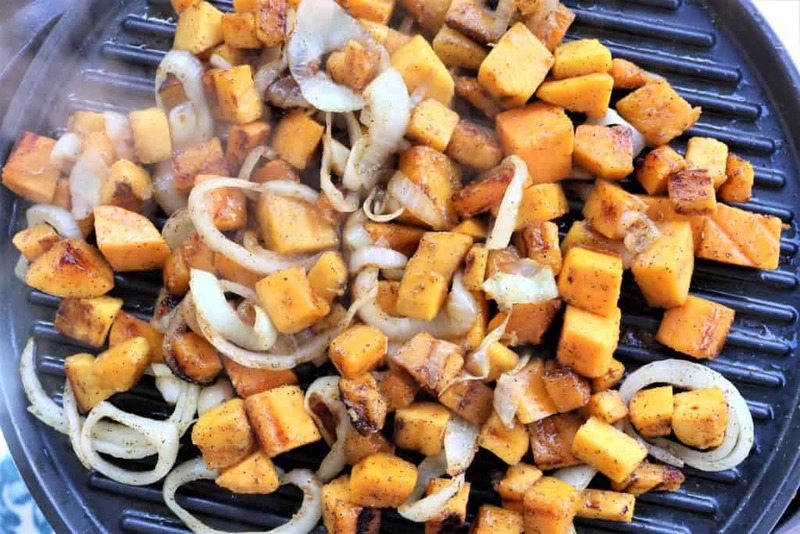 Grilled Butternut Sage Pasta. As I mentioned in my previous posts, I am on a grilling kick. I think that everything is better, cooked on the grill. It isn’t summer yet, but my grill cooks indoors and outdoors, so I don’t have to wait if I get inspired to make something. 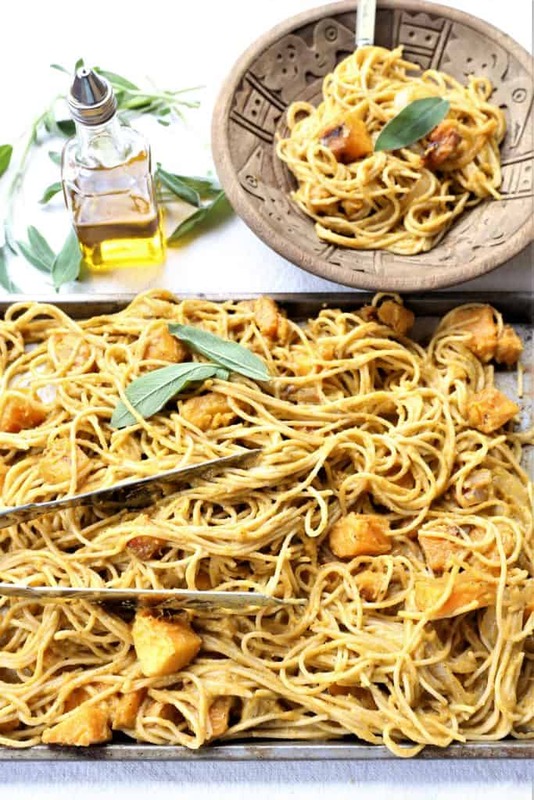 This grilled butternut sage pasta was an inspiration. With only 8 ingredients, I tossed the vegetables on the grill, cooked the pasta, and made the pasta sauce with part of the grilled vegetables. So easy, so flavorful and done in thirty minutes, and vegan, gluten free and dairy free. 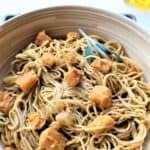 This yummy grilled butternut sage pasta requires only 8 ingredients, and is ready in 30 minutes. So delicious. Vegan, gluten free and dairy free. 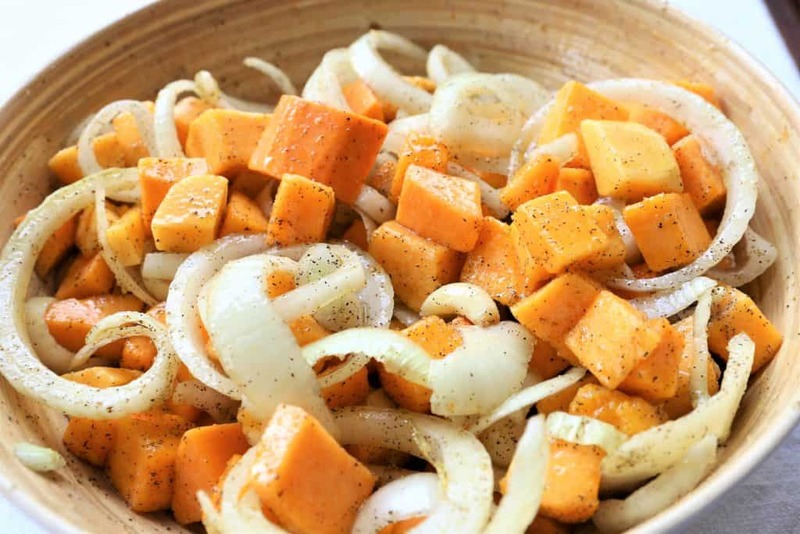 Add squash, onions, garlic to large bowl and drizzle with olive oil, maple syrup and salt and pepper. Mix throughly. Add remaining 3.5 cups of vegetables to pasta. Add sauce from blender and toss with pasta and vegetables.